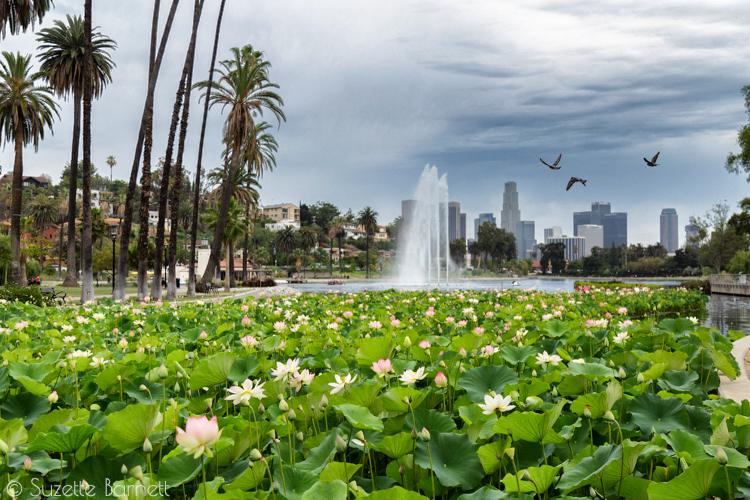 I recently visited the lotus flowers at Echo Park Lake in Los Angeles, a place I have happy memories of as a kid. For those of us who love flowers this is a bit of a dream come true, especially in such an accessible and non-exotic location. 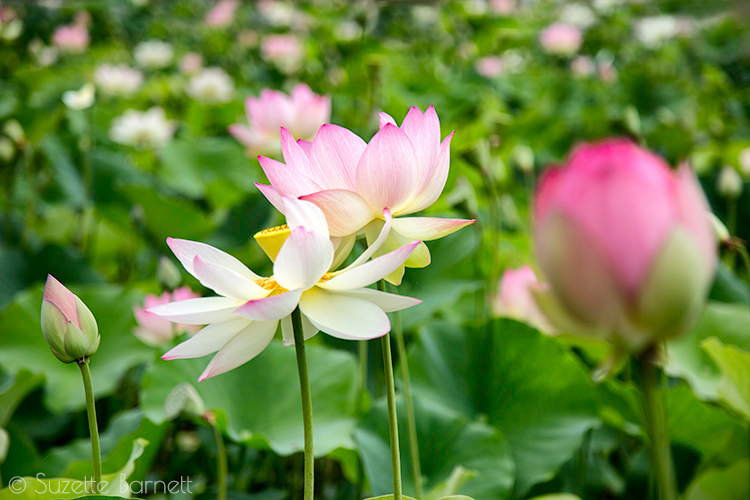 The flowers are so beautiful, it’s a bit surreal. 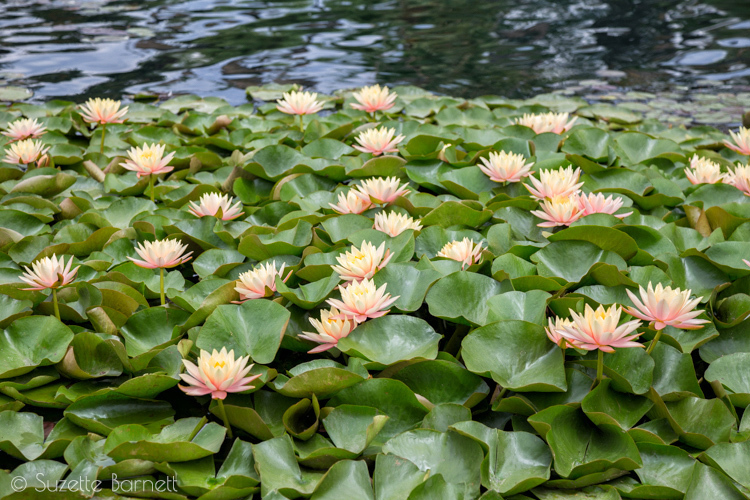 Hundreds of blooms in white, pink and yellow frame your view of the lake in every direction with ducks and paddle boats providing that extra ambience. 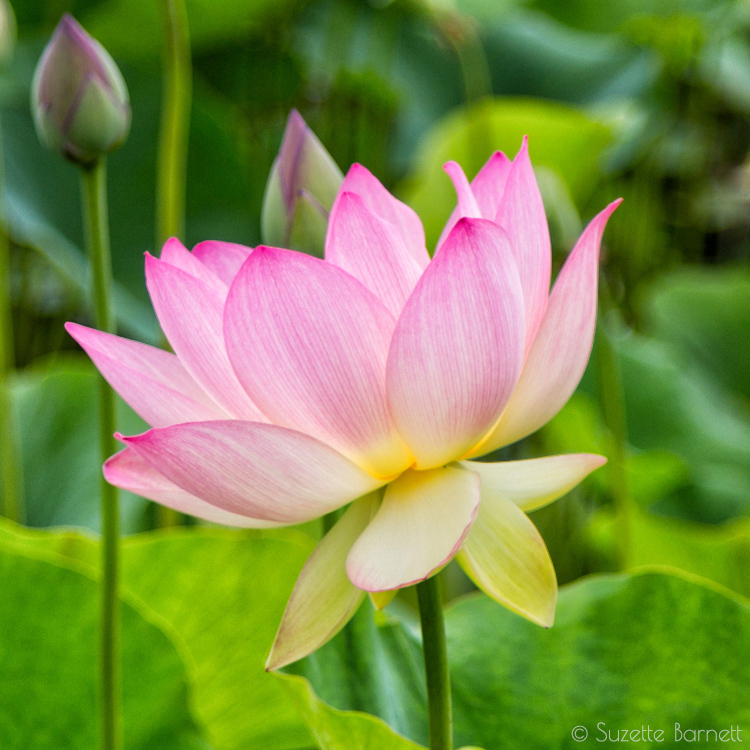 Why Are They Sacred & When Do They Bloom? 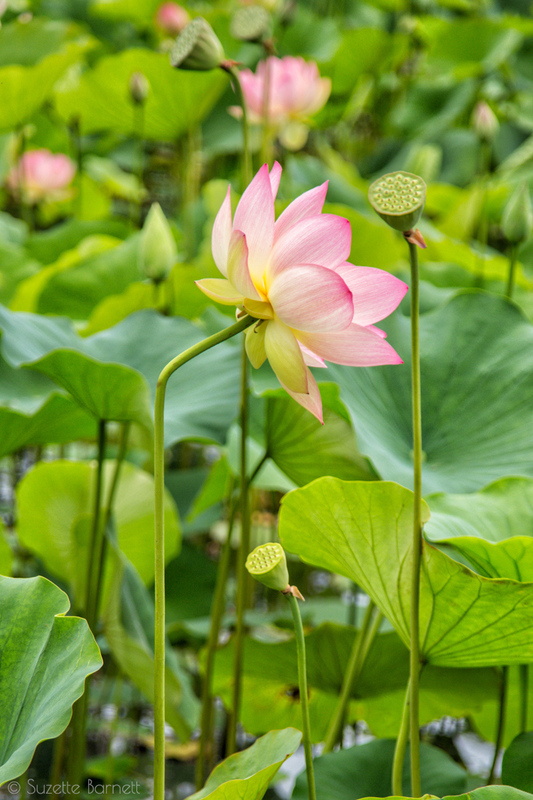 For thousands of years, Hindus and Buddhists across the world have considered the lotus flower (nelumbo nucifera) sacred. 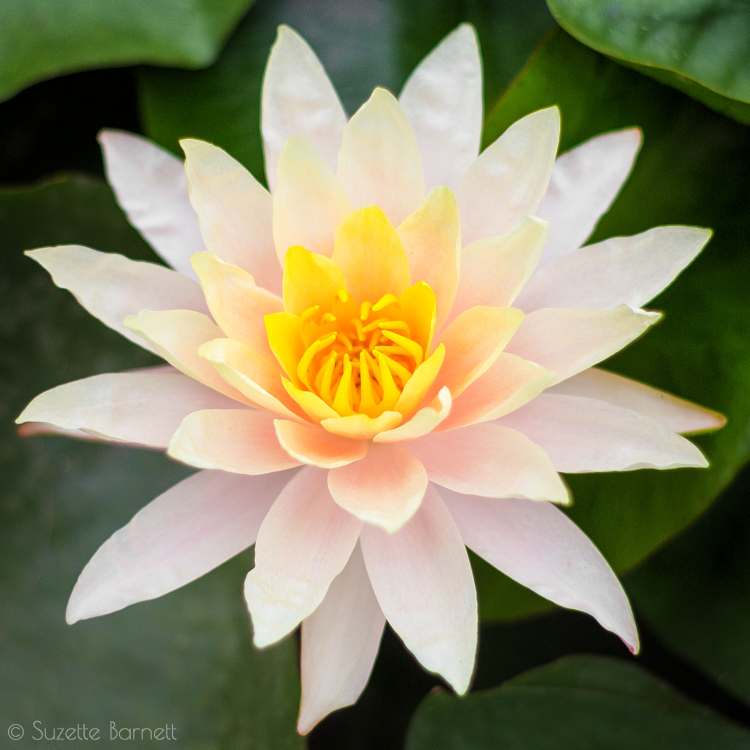 It remains in these cultures as a symbol of purity and spiritual enlightenment because it emerges from the mud with beauty and grace. 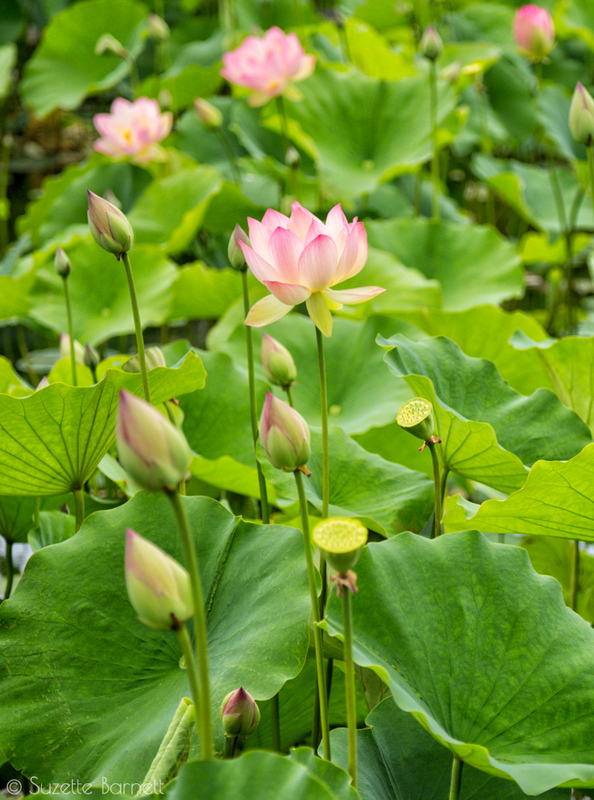 It has also been said that the unfolding petals suggest expansion of the soul. You may have seen this depicted in statues and other art along your travels. I certainly have, especially in Bali. 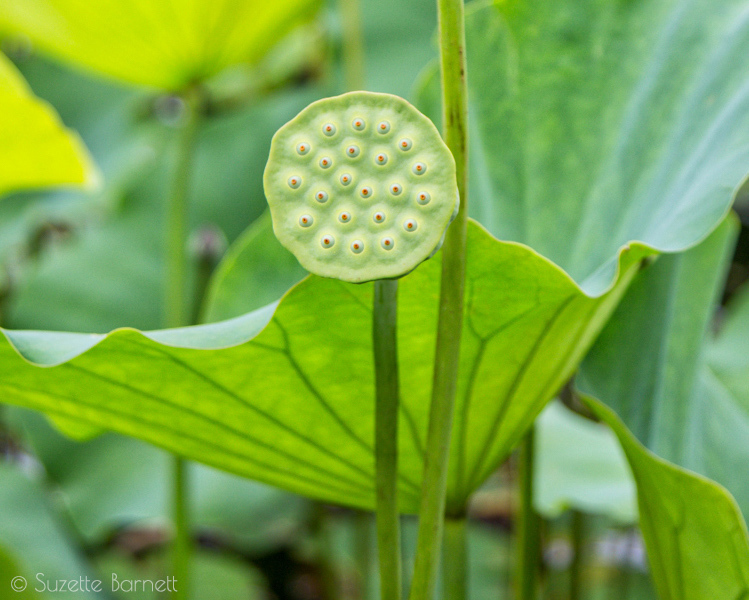 If Mother Nature created lotus flowers for a reason, this is a pretty profound one. 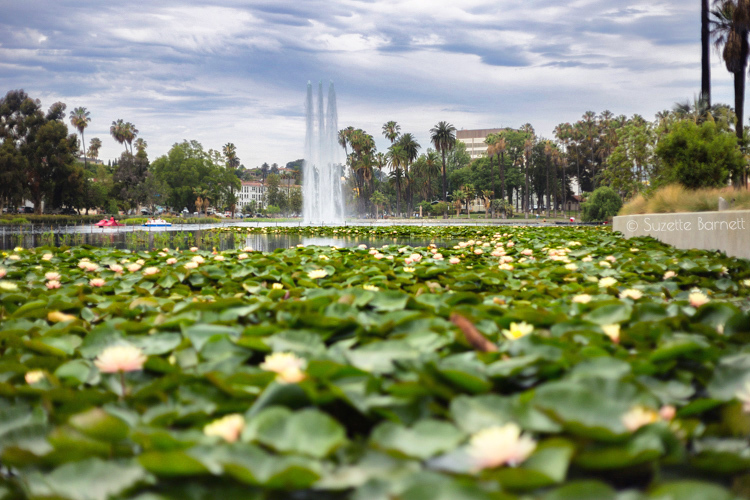 The lotus beds of Echo Park Lake have been a community landmark since the 1920’s. 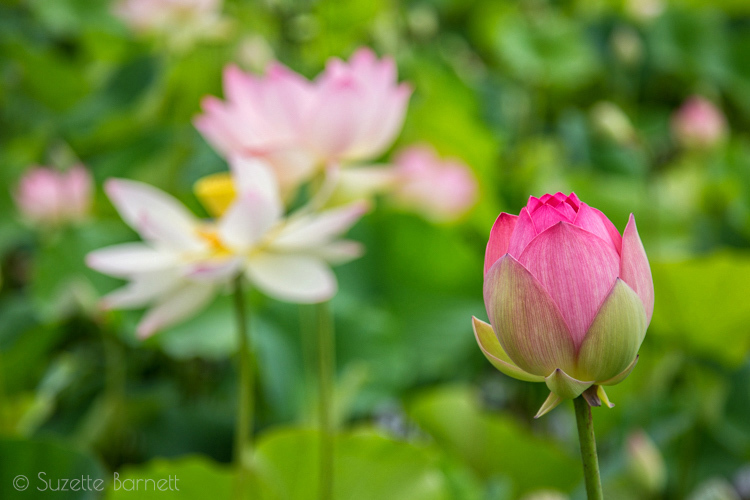 By 2008 the flowers had entirely died out, but not before a local horticulturalist had illegally stolen a cutting and used it to cultivate at his nursery. 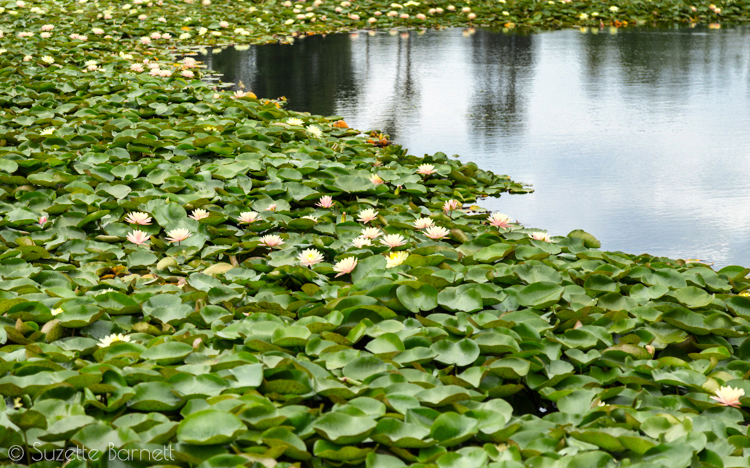 Later, when the city did a massive restoration project to clean the lake, he fessed up and sold the city almost 400 lotus plants grown from the original cutting he had taken. The park was re-opened in mid 2013 and in it’s current state, is likely the best it has ever been. 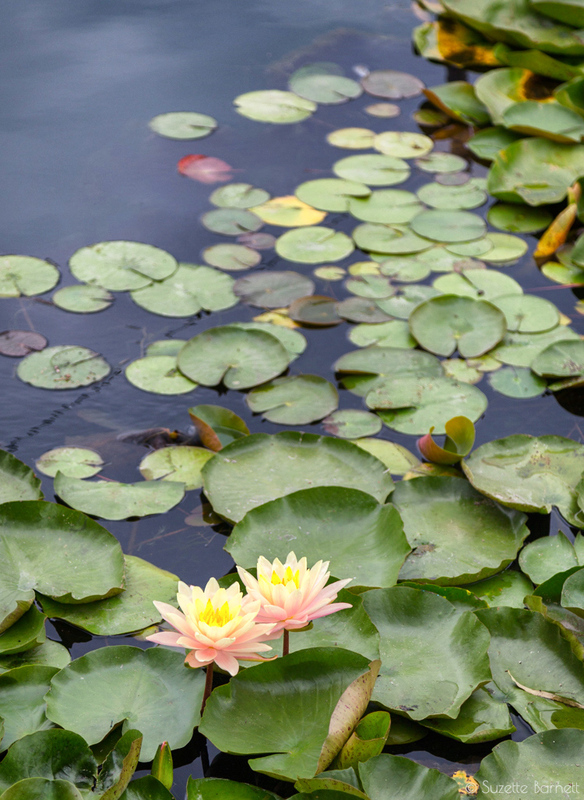 The flowers bloom from June through September and typically are dormant the rest of the year. 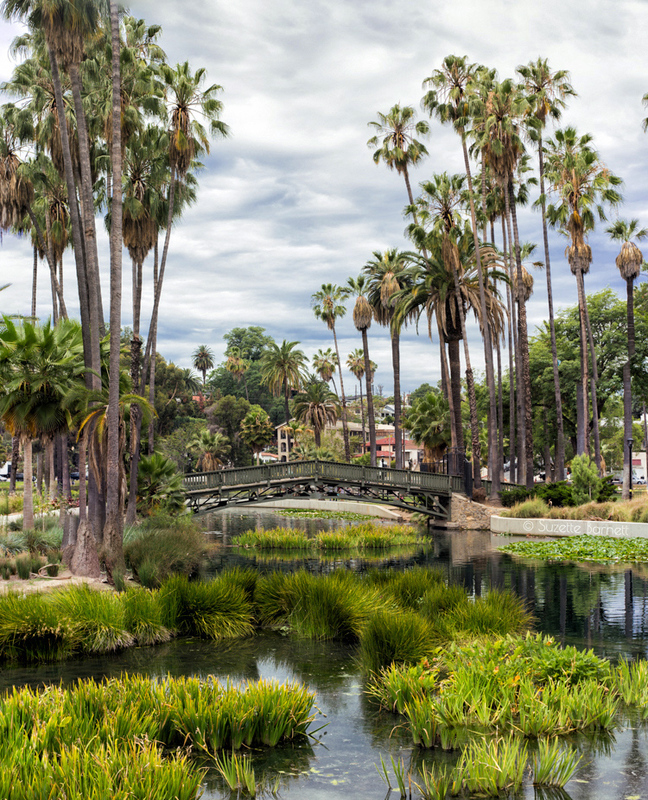 Echo Park has notable Hollywood history as the home of the first silent film studio. Numerous slapstick comedies were filmed here with movie stars such as Charlie Chaplain, the Keystone Cops, Laurel and Hardy, Our Gang, Fatty Arbuckle, and the Three Stooges. The original studio location has since received a tribute being recognized as “The Birthplace of Motion Picture Comedy”. 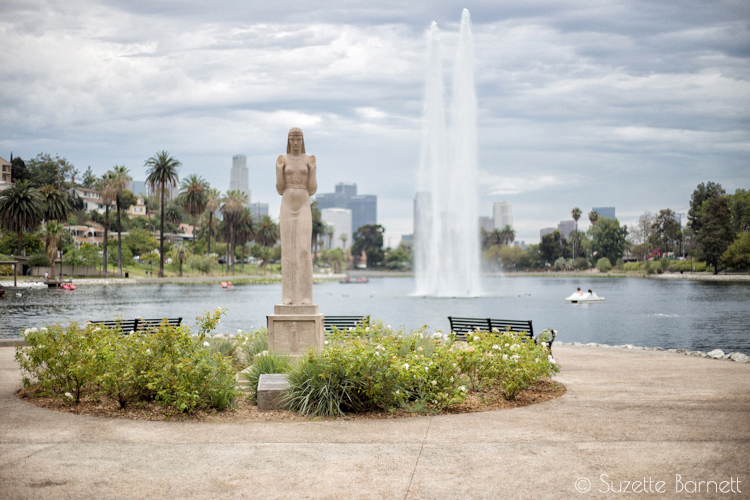 Any films they shot which take place near water were likely shot at Echo Park Lake. 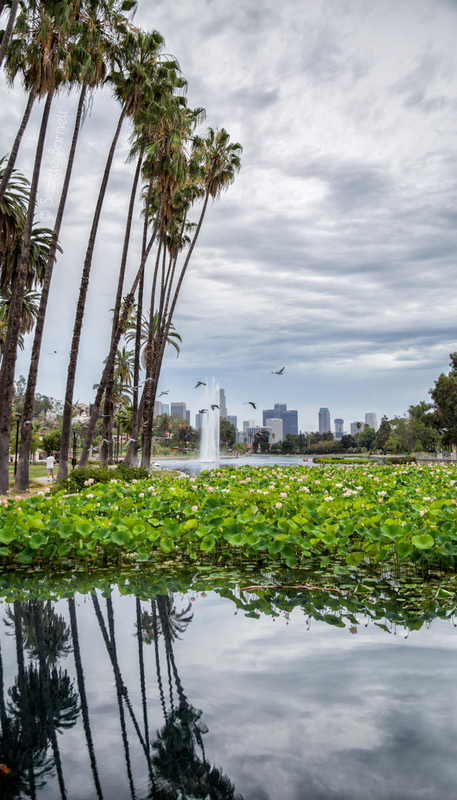 And of course the lake is also famous for it’s role in the 1974 film Chinatown starring Jack Nicholson. 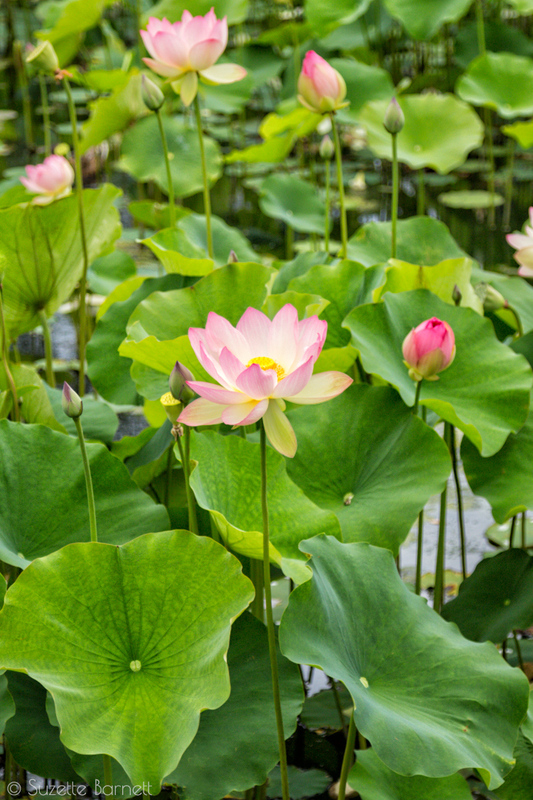 Thank you so much for reading and please enjoy the sacred lotus flowers below.